We offer premium quality zinc scrap such as dross and score. Our zinc score comprise dry, clean and unalloyed zinc sheet that is widely used in printing industry. Zinc material containing Zinc 30 % to 90 %. Zinc Dross and Zinc Die Cast Scrap. Shall consist of miscellaneous old zinc base diecastings, with or without iron and other foreign attachments. Must be free of borings, turnings, dross pieces, chunks, melted pieces and skimmings. With prosperous industry practice, we are known to offer Zinc Sheet Scrap. It is made by experts using the advanced technology. We feel delighted to introduce ourselves as a noticeable provider of highly qualitative Zinc Dross. These products are available to the clients in safe packaging. We offer premium quality zinc scrap, a composition of clean, dry and unalloyed zinc sheet scraps. Our zinc scraps is used for manufacturing of zinc sheet, zinc oxide and zinc powder which are further used in number of various industries. the zinc scrap that we offer is heat resistance and has high tensile strength. Contact us for zinc scrap prices. 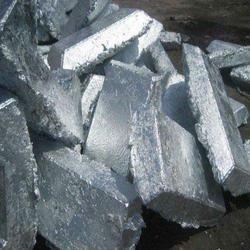 We are actively involved in offering an excellent range of Zinc Scrap. In addition to this, these could be purchased from us at most affordable costs. Our customer can avail a huge array of Zinc Die Cast Scrap. It is highly acclaimed by our clients for its superior quality and ease to remould. We special take care about the packing of our range so as to reach to client without any loss. We are offering this range of products at market leading prices. 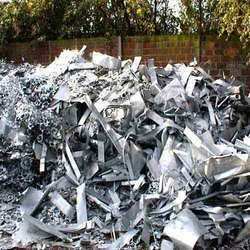 The company has established itself among the Exporters and Suppliers of Zinc Scrap in Vadodara. The Zinc Scrap, offered by the company, is known for its quality and excellent condition. The company ensures the timely delivery of the best quality Zinc Scrap at all times.